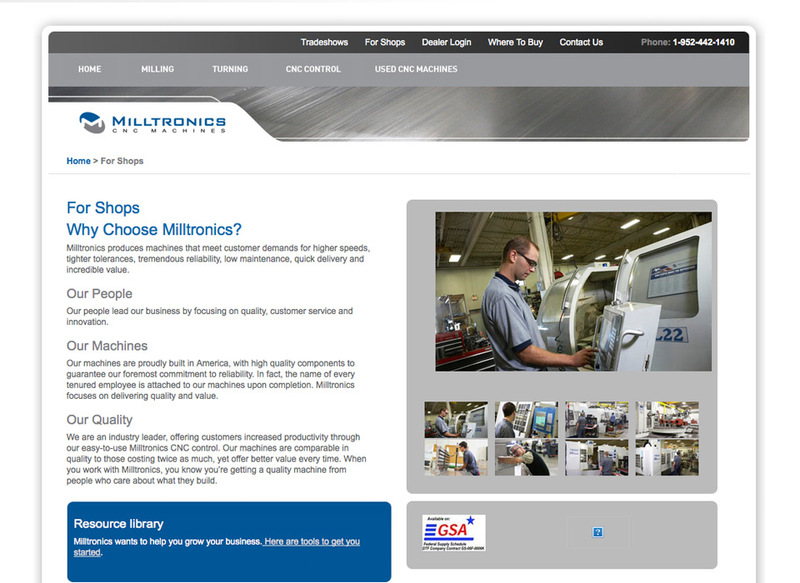 Milltronics is a trusted leader in automated computer numerical control (CNC) machines. 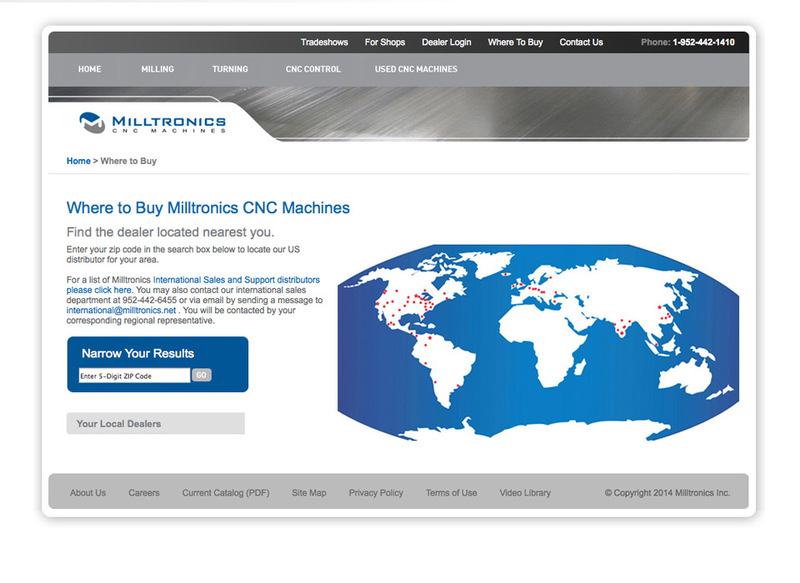 Milltronics serves industry worldwide with innovative CNC controls, production and toolroom machines. 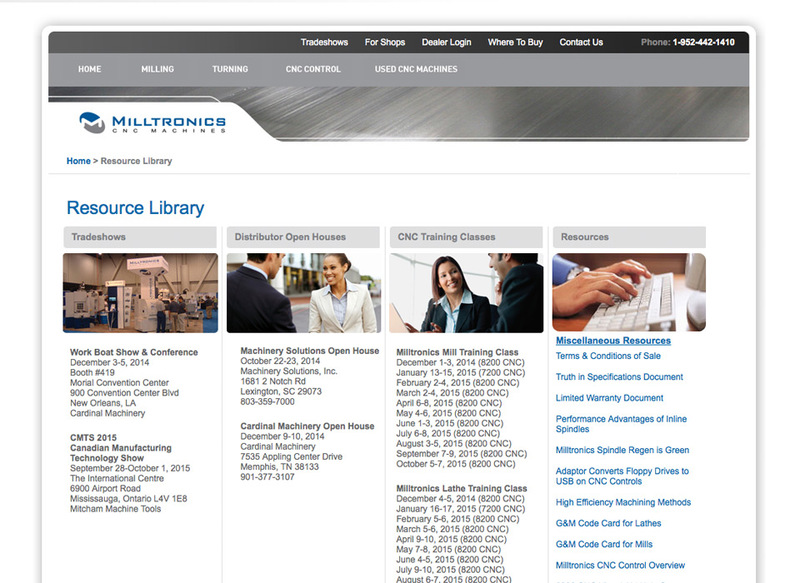 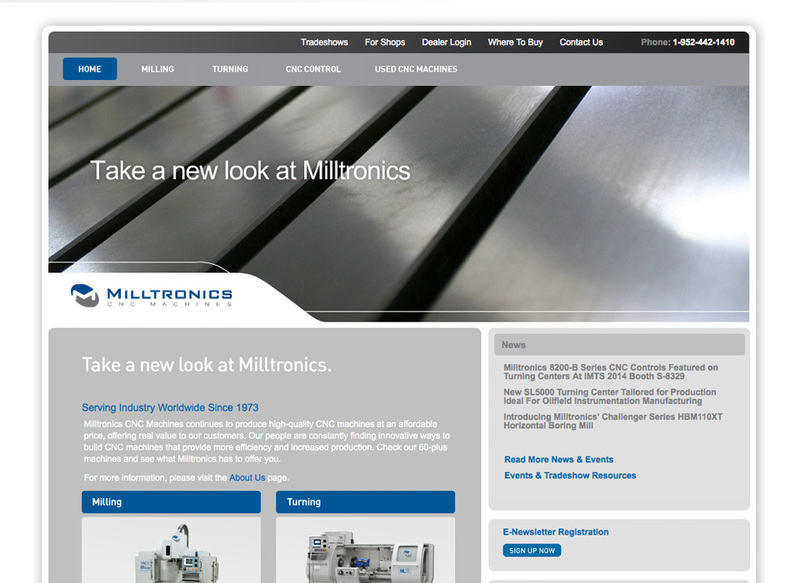 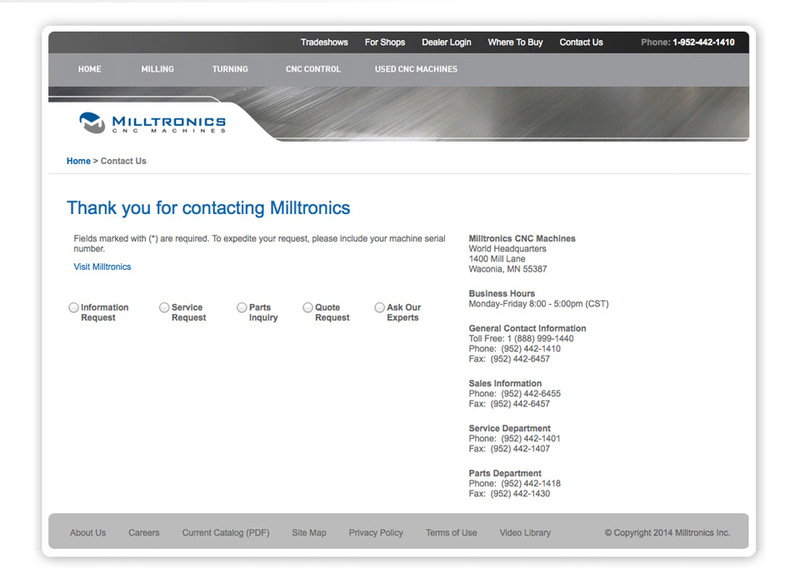 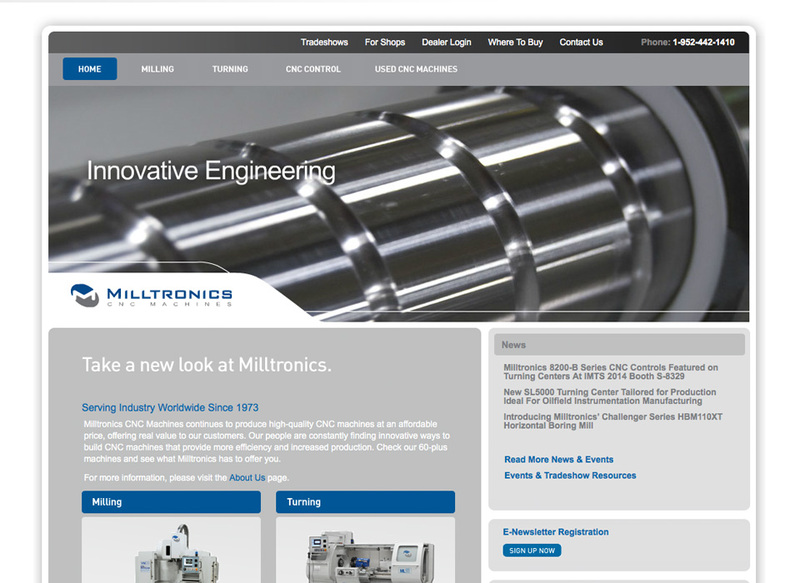 Milltronics wanted their identity refreshed, so we created a new logo, stationery, sales collateral and website. 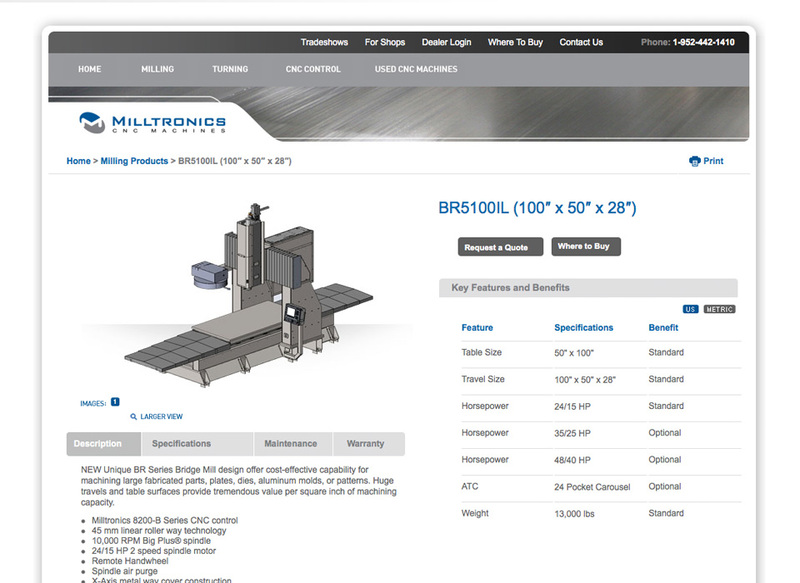 We introduced clean lines to their brand, and leveraged close up photography of metal and milling equipment with the goal of presenting the materials in an artistic way. 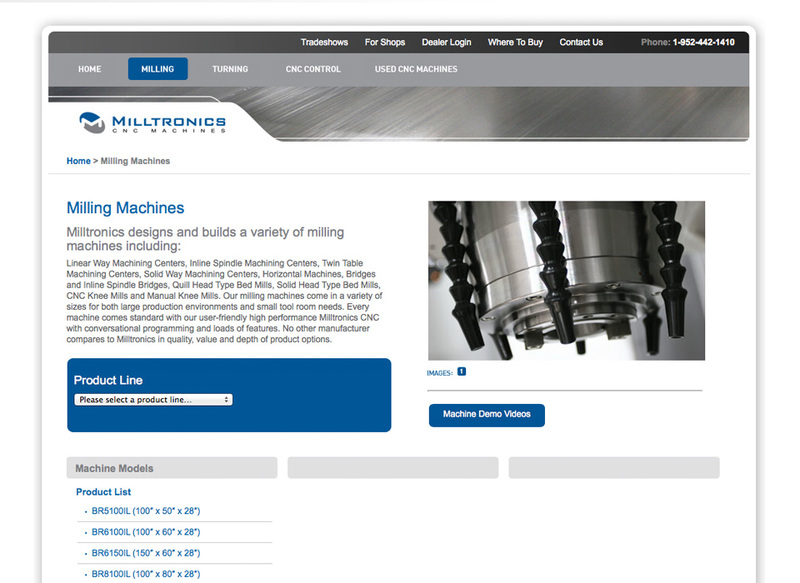 The website features the various types of milling and turning equipment, as well as news, contact info and catalog download.